Let the comfort food continue…When you have a little one at home, it is not always easy to prepare meals. My daughter is pretty good at playing independently, but for some reason as soon as I try to cook or do a household chore, she wants mommy. My time is as precious as my little girl. I am a garbage cook. I love throwing together random leftovers to make a meal. 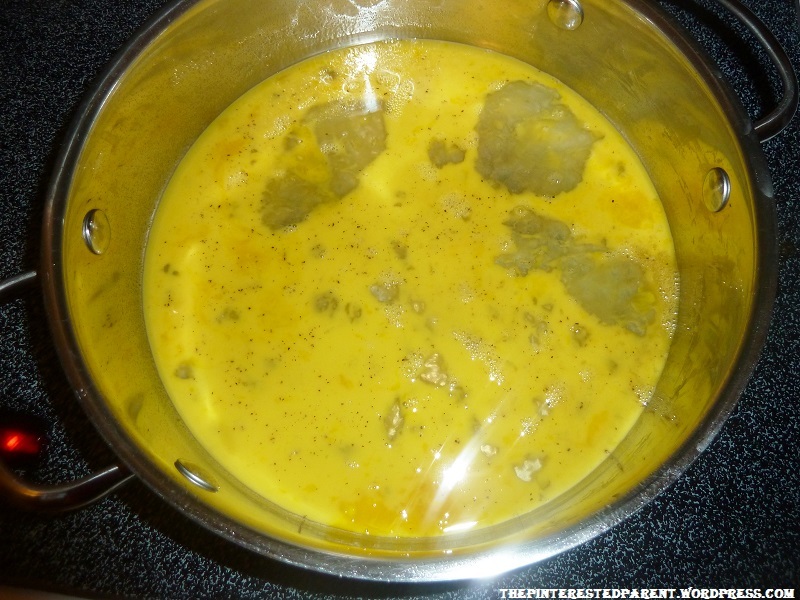 It is quick & easy and it gets rid of leftovers. 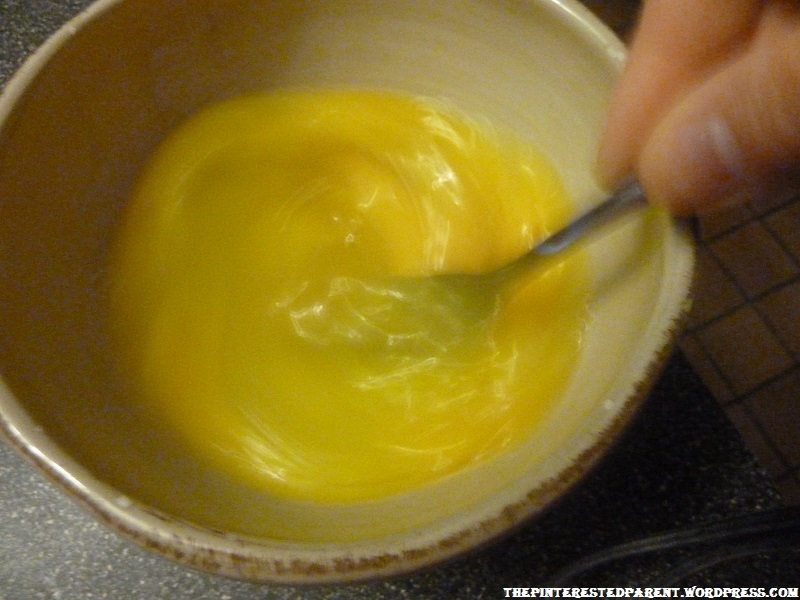 The other night I made Velveeta shells & cheese for Mai for supper. She refused to eat it. She claimed that it was too spicy. ??? Crazy kiddo. Sufficed to say, I had a lot of mac & cheese left. This morning, hubby was home & we were all able to have family breakfast together. 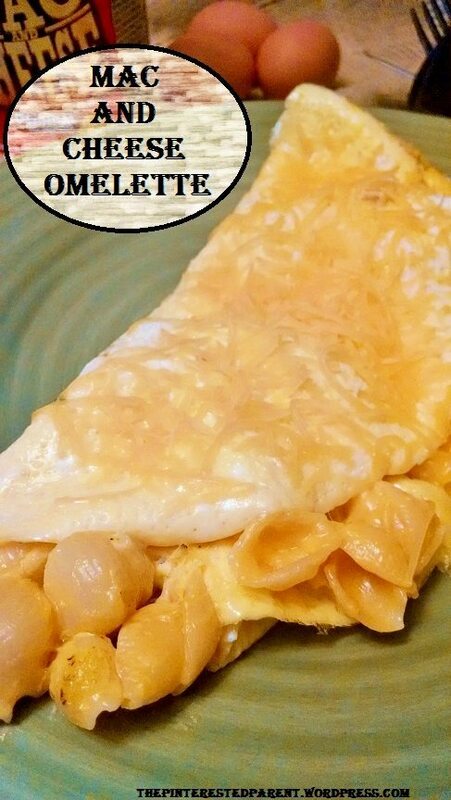 SInce my husband is a big fan of mac & cheese, I thought it might be fun to throw it in an omelette for him & see what he thought. 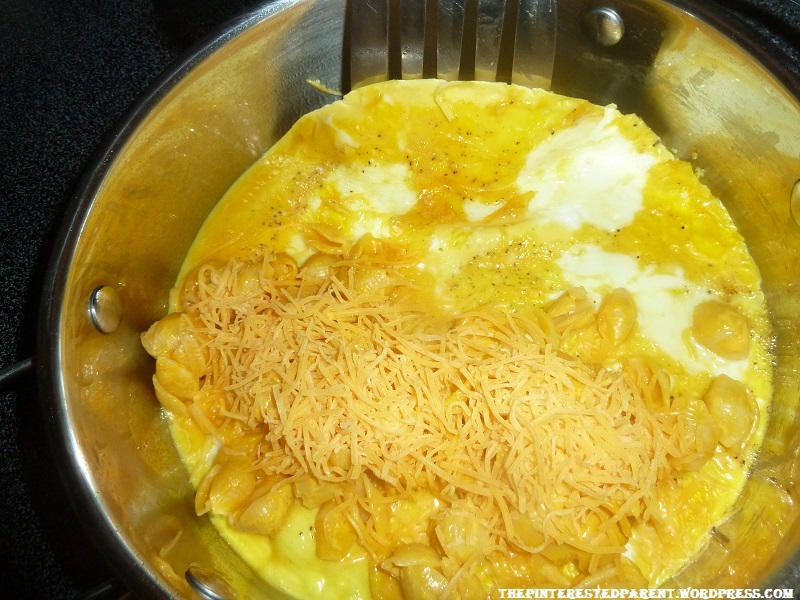 How did my left over mac & cheese omelette rate? Let’s find out? This recipe is for a family sized omelette. 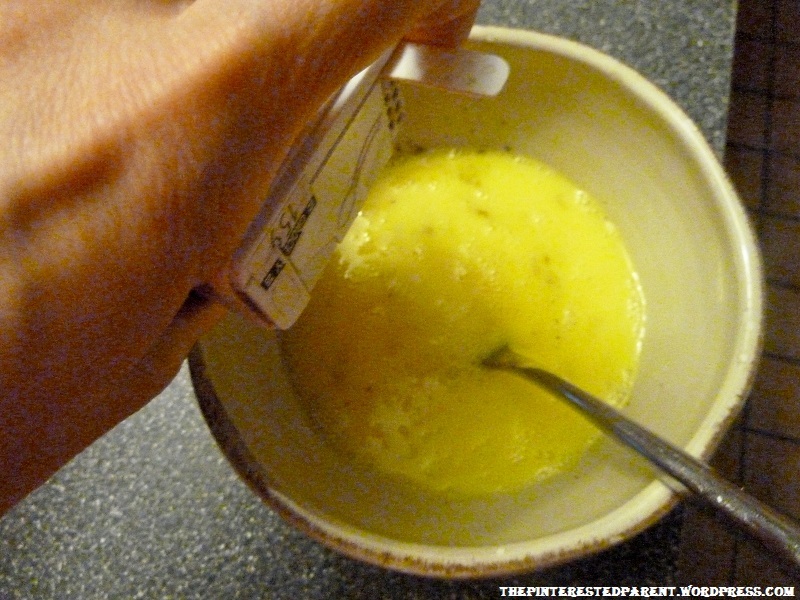 In a mixing bowl beat eggs, water, garlic salt & pepper. Spray a frying pan with spray. Add the egg to the pan & cook on medium low heat. 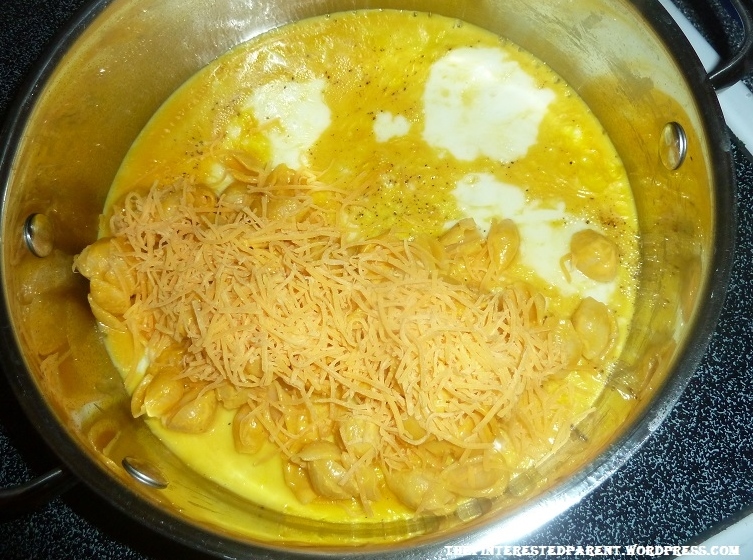 When egg is cooked through add the mac & cheese and top with cheddar. 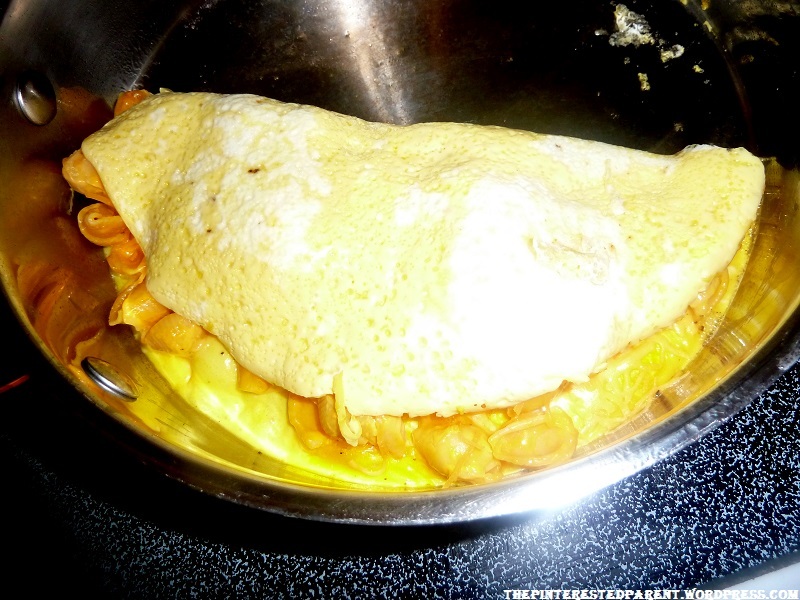 Fold your omelette over & sprinkle with additional cheese if desired. Keep on the heat until the cheese melts. My leftover mac & cheese omelette was a huge hit, My husband absolutely loved this. 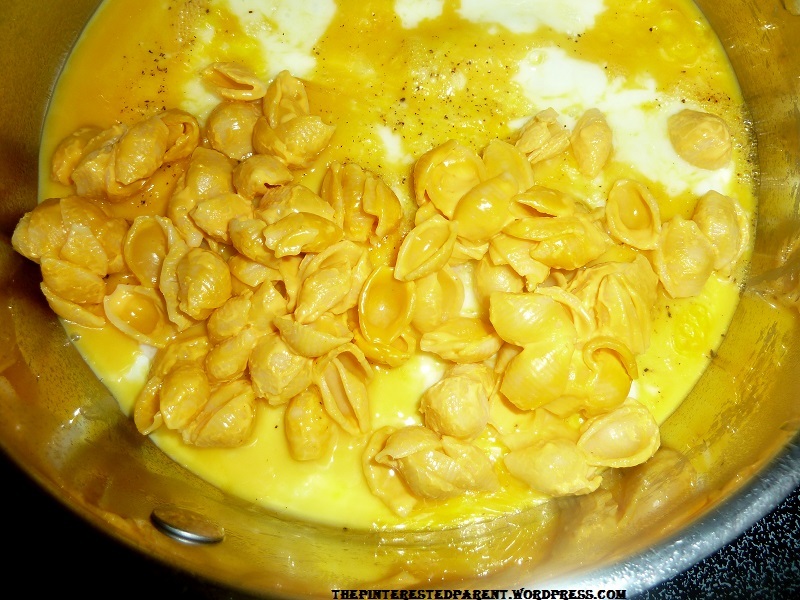 I might have to make some macaroni & cheese again just to recreate this delicious breakfast. Here is one more of my favorite junk omelettes. 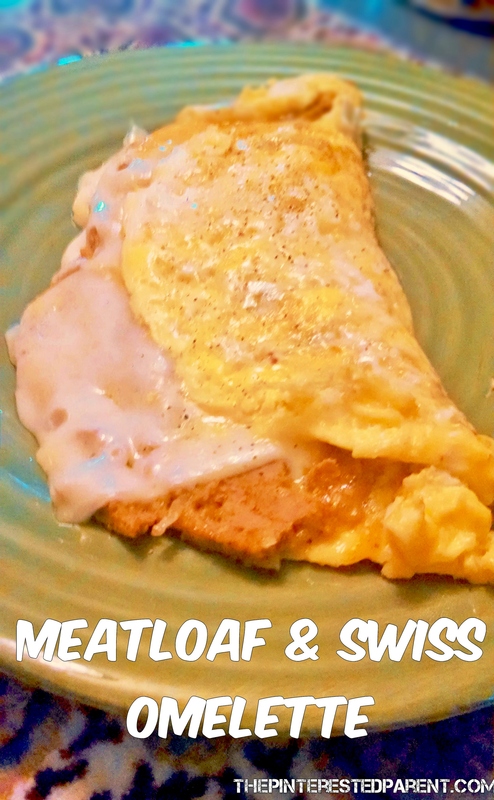 This is a 4 egg omelette with left over meat loaf, a 1 1/2 tbsp of barbecue sauce & swiss cheese. I always throw weird leftovers in things. My husband was so in love with this. Holy moly that looks delicious! It was actually really good. I only ate a few bites myself. I can’t really eat that stuff. My husband went crazy for it though.